There are 58 items in the categories listed below. Tired of annoying paint chips and debris tearing up your Corvette’s paint job? How about cleaning bugs off your Corvette’s bumper after every evening cruise? If so, Speed Lingerie has the answer you are looking for. Their durable nose masks and mirror covers are available in all original Corvette factory colors ranging from 1984 to the latest C7. With their single piece installation, you will experience no loose flapping or exposed areas at speeds up to 150 mph. 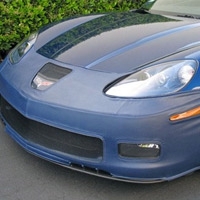 So stop dealing with pesky chips and cracks on your Corvette’s paint and order a Speed Lingerie nose mask or mirror cover set online from Zip. 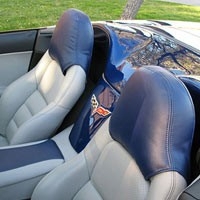 Zip also carries C5, C6 and C7 Corvette accent accessories by Speed Lingerie. Their high quality accessories are available in all factory matching colors, are easy to install and like their nose masks and mirror covers, include a limited lifetime warranty.